While serving in Afghanistan, her sister Claire was murdered. Once she returned home, she and her husband Joe were attacked in the park – she escaped but Joe didn’t. Struggling with her PTSD and trying to raise her daughter, a friend suggest she installs a secret nanny-cam in her daughter’s bedroom. One night, she checks the footage – and to her horror, she sees a man playing with her daughter. But it’s not just any man – it’s her “dead” husband. Determined to get to the bottom of things, Maya soon finds that the trail of bodies goes further back than her sister – and there may be more to come. It’s been a long time since I read something by Harlan Coben. I used to read them a lot, but for some reason, it’s been a while since I went back to the author. It might well be that since starting the blog, I’ve certainly expanded the range of my reading. Or it might be that I was disappointed by the last one that I read. Weirdly, I can remember where I read it – a cabin outside Hill City in South Dakota – lovely place – but nothing about the book at all. Not even the title. But I do remember enjoying the first of his books that I’d read, especially the Myron Bolitar series. So when I saw that his latest was available for review on NetGalley, I thought, why not? Coben’s thrillers are twisty things, usually with one big twist at the end. Not the easiest genre to succeed in, as the twist needs to hang in that gap between vaguely believable and not obvious, but Coben is a master at this sort of thing. This time though? Hard to say – to be honest, I’m still thinking about how well this one works. It’s certainly clever – not an original gambit by any means, but it caught me out as the plot bounced around from event to event. And the plot is important here, as the problem with the lead character is that she is (by her nature) hard to relate to and as we spend the entire book in her company, her outlook means that the characterisation is a little dry. As I said, a convincing reflection of her character but it made the book a little hard to invest in at times. Given the nature of the ending, I would usually go back and re-read earlier chapters to see if it hangs together – but there wasn’t quite enough of a draw to do so. So, if you’re a fan of the twisty fast-paced thriller, then this is Worth A Look. Sounds as if Coben might have gotten back on form again. 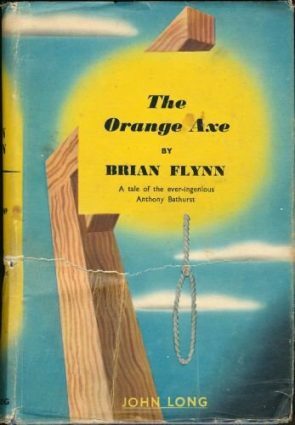 I used to read any of his books I came across around the time of Tell No One, but the last couple I read were far longer and not nearly so ingenious (they were a bit Deaverish, with artificial twists for the sake of smartaleckery) and I gave up. From your description, it seems the ingenuity might be back. It’s the other way round with me. I read quite a few Deavers before deciding they were for the most part terminally irritating; the only one I can remember in any detail, probably because of the movie, is The Bone Collector (Washington! Jolie!) The rest are, to be polite, a blur. But there’s a bunch of Cobens that, if I go pull ’em off the shelf and just glance at the first line of the blurb, I can remember quite vividly. Tell No One, Gone for Good, No Second Chance and Just One Look — it’s a bunch of classics, so far as I’m concerned. Anyway, I’ve put my order in at the library for Fool Me Once . . .
And I’m now off to see if the Grauniad Easter Prize Crossword has been presented in any workable form on the website . . . But I assume you’ve done it already! I wouldn’t have pegged you as a Harlan Coben reader, but you are right, there have been some good ones by him (earlier ones). If Maya and her sister were both named Maya, I would be confused too 🙂 I have never read one of his. Sounds like it didn’t hold your attention! Maya’s sister is Claire ! Thanks, I’ll pass on this one. THE STRANGER was almost brilliant, with enough good stuff in it to make me want more of the same. Yet he has written some yawners that I regret wasting time on. I don’t post about books on my little-known-gems blog anymore, since my wife died a couple of years ago. But I have read some good and unique mysteries. DEATH COMES FOR THE DECONSRUCTIONIST, which I’m reading now, seems to be a good one for a number of reasons. Who’s the author of that one? Daniel Taylor, the same guy who has written a number of books defending spirituality, none of which I intend to read. 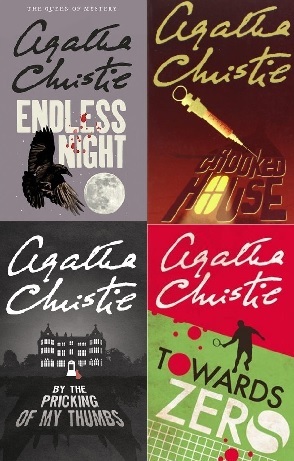 This lone mystery, DEATH COMES FOR THE DECONSTRUCTIONIST, is interesting for its take on literary interpretations, for references to other mysteries, and for its autistic character–the protagonist’s sister.. 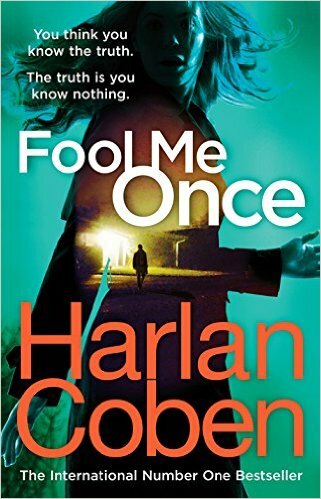 If a book has too many twists, or that is, if some of the book’s twists seem artificial, it sours the rest of it, even when, in Harlan Coben’s instance, the other twists seem quite natural. THE STRANGER has some interesting asides and some pleasing metaphors. And of course there is Coben’s trademark missing person and the longing for them that he does so well.